The Wars of the Roses were a notoriously violent feud in which faction warred with faction and family destroyed family, all against the backdrop of a tussle over the most significant prize in the kingdom – the throne of England. Whether aligned with Lancaster or York, both sides inflicted atrocities on the other across three decades as a myriad of strong personalities sought to advance the cause of themselves, and the faction to which they had pledged their loyalty. Very few were faultless, as men such as Richard of York, Warwick the Kingmaker, Edward IV, the dukes of Somerset, Clarence and Buckingham, and the earls of Northumberland, Pembroke, Oxford, Salisbury and Devon, each engaged in internecine conflict. In recent years, however, a narrative has developed which portrays the House of Tudor, who acceded to the throne in 1485 after Henry VII usurped the crown from Richard III (who depending on your viewpoint may or may not have himself usurped the throne), as unusually bloodthirsty in their supposedly relentless yearning to wipe out all Yorkist rivals. Henry VII, it is claimed, would stop at nothing to eliminate his competition, contrary to the fact that the first Tudor was, in fact, merely responsible for just the one, dubious, execution of potential White Rose adversary in a 24-year reign. The various misdeeds of Edward IV, meanwhile, seem oddly disregarded, which is astounding when one considers that he too was not averse to wiping out those he perceived to be a threat, including Henry VI and his own brother George, Duke of Clarence, both bumped off in the Tower of London during the 1470s, and a fate that would conceivably have been shared by young Henry Tudor had he fallen into Yorkist possession. Rarely mentioned, or at least skimmed over, is the fate that befell the man who was arguably the most senior Lancastrian heir after the deaths of Henry VI, Prince Edward of Westminster and the two Beaufort siblings in 1471; Henry Holland, 2nd Duke of Exeter. 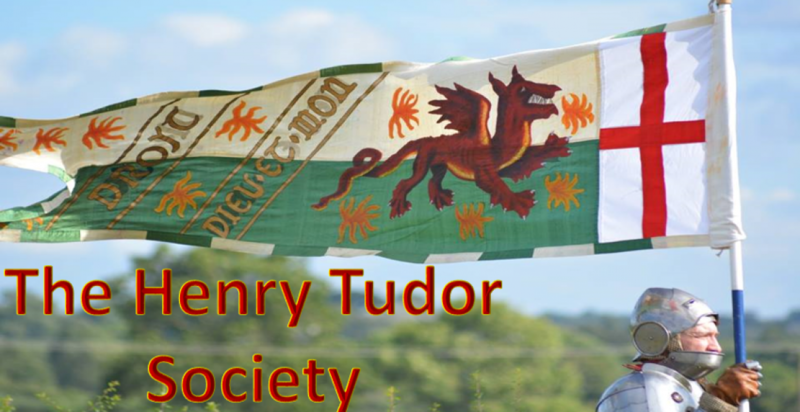 Henry was born on 27 June 1430 as the only son John Holland, then Earl of Huntingdon, and his first wife Anne Stafford. His father was the eldest surviving son of another John Holland, 1st Duke of Exeter, who was prominent towards the end of the fourteenth century as the elder half-brother of King Richard II. The 1st Duke rose high in favour of his sibling, but after Henry IV usurped the throne in 1399, his status was diminished, his title demoted, and after he led a rebellion known as the Epiphany Rising in which it was alleged he planned to wipe out the fledgling Lancastrian royal family, he was executed. 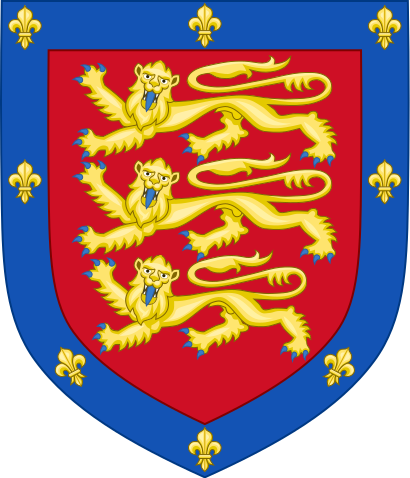 Despite his anti-Lancastrianism, the 1st Duke had actually married into the family as husband of Elizabeth of Lancaster, a daughter of John of Gaunt, making his namesake son a great-grandson of Edward III. The younger John proved faithful to his Lancastrian relations, serving notably at Agincourt in 1415. He was captured by the French in 1421 and spent four years in captivity, but after his release continued his service until he was eventually restored to his father’s dukedom of Exeter in 1443, enjoying precedence below only Richard, Duke of York. Henry Holland, therefore, from the age of 13 was suddenly raised to heir of a mighty dukedom, in title if not income, and also could boast of royal descent on his maternal side as a great-grandson of Thomas of Woodstock, 1st Duke of Gloucester and youngest son of Edward III. When he acceded to his father’s title and estates in 1447 at just 17, he was recognised as one of the foremost nobles in the land, royally descended and high in the line of succession to the as yet childless king, his cousin Henry VI. Frustration over the poor financial state of his inheritance, and a haughty disposition that spilled over into questionable behaviour, Holland quickly attracted trouble during the 1450s. He fraudulently seized the lands belonging to a fellow lord, meddled needlessly in the escalating Neville-Percy rivalry in the north, lay claim to the Duchy of Lancaster during Henry VI’s first mental breakdown, and even courted the Scots to cause issues in England to his own benefit. Most notably, despite his marriage to the duke’s young daughter, Exeter opened a feud with Richard of York after the latter was named protector in 1453, perhaps slighted that despite his tender age, he was overlooked for the post by virtue of his lineage. He was tersely warned to desist from his troublesome behaviour in the north by York, and when he refused to heed the message, was imprisoned in Pontefract Castle. Though released when Henry VI resumed control of his faculties, when the Wars of the Roses erupted in 1455, the headstrong duke of Exeter rallied to the Lancastrian cause, directly opposing his estranged father-in-law, York, and thereafter the latter’s son, Edward. Exeter fought against York at the Battle of St Albans, for which he was briefly imprisoned in Wallingford Castle during York’s second ascendancy, and later commanded men in the Lancastrian victories at Wakefield in 1460, during which died York, and the Second St Albans in 1461. He was also present for the traumatic defeat at Towton a month later, which placed the Yorkist Edward IV upon the throne, and sensing the winds of change, fled into Scotland and thence France, his title subject to attainder and his lands seized. A decade later, during the brief Lancastrian readeption which existed for several months in 1470 and 1471, Exeter returned to England, and commanded part of the royal army which faced off with his Yorkist brother-in-law at the battle of Barnet. The chronicler Warkworth noted that Exeter ‘faught manly ther that day’ but was ‘gretely despolede and woundede’ in the loss, ‘and lefte nakede for dede in the felde’. He was eventually rescued from the field, having lain there injured until 4pm, and fled into sanctuary at Westminster to recover from his wounds. At the battle of Tewkesbury a few weeks later, at least three people in the Lancastrian line of succession were killed, namely Prince Edward, and the Beaufort siblings Edmund and John, and shortly thereafter occurred the suspicious killing of Henry VI in the Tower of London. With the senior male-line of Lancaster wiped out, the astute Milanese ambassador observed that Edward IV had coldly ‘chosen to crush the seed’ of his rivals. Yet, Henry Holland remained, much to the Yorkist king’s chagrin, one imagines. Henry Tudor, another Lancastrian claimant, had succeeded in fleeing into exile, but Holland remained within Edward’s reach. The duke was therefore forcibly removed from Westminster Abbey, and kept thereafter under close supervision in the Tower, ominously where Henry VI met his end. His loveless marriage to the king’s sister Anne of York was dissolved in 1472, with much of his estates passing into her control, and his situation appeared bleak until 1475 when the duke was suddenly invited to accompany Edward IV on his upcoming military expedition to France. Perhaps the king did not want to leave a potential claimant to his throne behind in the kingdom, preferring to keep a close eye on his rival, or he felt the duke deserved an opportunity at reconciliation. Either way, Henry Holland would never return alive. During the Channel crossing between Dover and Calais, in uncertain circumstances that have never been ascertained, this formidable duke with the most preeminent Lancastrian claim to the throne, fell overboard and drowned. Chronicles written within England are vague in their recollections of his mysterious demise. Polydore Vergil noted that Exeter had, ‘contrary to promyse’, been ‘taken sooddenly owt of the way’, whilst Robert Fabyan recounted how the duke had been ‘founden deed in the see atwene Dover and Calays’ before adding ‘but how he was drowned the certaynte is nat knowne’. The entry in the Chronicles of London, meanwhile, simply reported how the duke was ‘found deed, as it was said, bitwene Dovyr and Caleys’. The Croyland Chronicle, on the other hand, perhaps the most informed of the period’s sources and written by someone close to Edward’s regime, is unusually silent on the matter. It was left to a source outside the influence of Edward IV, or his son-in-law Henry VII, who had no capital to gain from disparaging his wife’s father, to lay blame at the feet of the Yorkist king for the death of a Lancastrian rival. The Milanese ambassador to Burgundy, Giovanni Pietro Panicharolla, wrote to the Duke of Milan on 4th December 1475 from Nancy, describing how Edward IV ‘had the Duke of Xestre thrown into the sea, whom he had previously kept a prisoner’. The ambassador added that the duke had resented his captivity, and its possibly he had been making this known, further incurring the wrath of his king. So was Henry Holland thrown into the sea, deliberately murdered by, or on the orders of, Edward IV. In light of more concrete evidence, it is difficult to confirm categorically, thought one can’t deny the death of the duke was convenient for the House of York. If 1471 was the year Edward had chosen to crush the seed, then four years later it is likely he continued crushing. As demonstrated three years later with the execution of his own brother, Edward was not a man unwilling to rid himself of a threat, real or perceived. It made perfect sense to Edward’s security for Exeter to meet an unfortunate end. Ultimately, of course, the removal of Henry Holland only served to bolster the tenuous Lancastrian claim of Henry Tudor, who remained in exile from 1471 through to 1485, when he eventually returned to England to make real that claim. It was exactly a decade after the untimely, and suspicious, demise, of the doomed Duke of Exeter, the forgotten Lancastrian pretender silenced by the sea. Nathen Amin grew up in the heart of Carmarthenshire, West Wales, and has long had an interest in Welsh history, the Wars of the Roses and the early Tudor period. His first book Tudor Wales was released in 2014 and was well-received, followed by a second book called York Pubs in 2016. His third book, the first, full-length biography of the Beaufort family, the House of Beaufort, was released in the summer of 2017 and quickly became a #1 Amazon Bestseller for Wars of the Roses.